What Pier and Beam Foundation Repair Costs? Pier and beam foundation repair costs can range from high to low depending upon what is required to properly fix them. 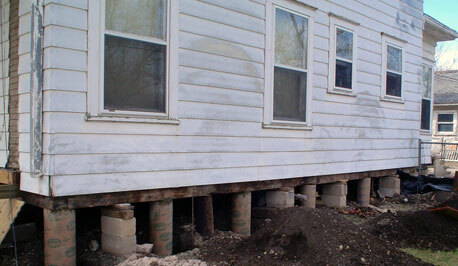 Average foundation repair prices can vary, and can cost as little as $1,500, while others can cost upwards of $10,000. It’s one thing to install ¼” steel shims to stabilize girder beams under a house, and quite another to install concrete piers (or pilings) all the way around a house. What are the advantages of pier and beam foundations? Modern pier and beam foundations are basically elevated wooden foundations that rest on concrete piers and are positioned about 18-24” off the ground. (Older pier and beam homes, those built before 1960 when they were most popular, were supported by wooden piers or even tree stumps.) 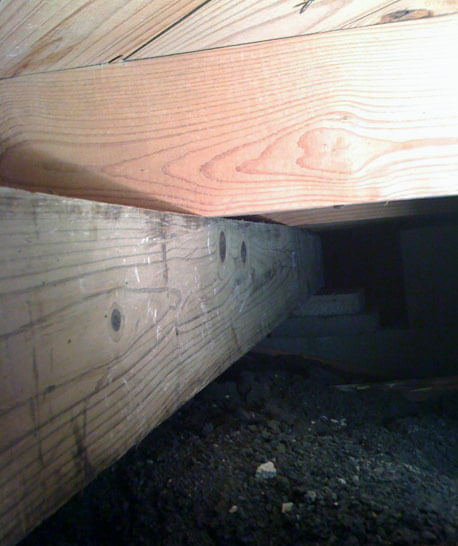 Newer pier and beam homes generally have a concrete perimeter beam that runs around the outside perimeter of the house, and they all have a crawl space under them. The crawl space allows for easy access to plumbing pipes and electrical boxes, which can sometimes make them easier to repair than other types of foundations. Moisture and rain often gets trapped in the crawl space and it is very important that the crawl spaces are properly vented. Termites and rodents can be a big problem, too. While pier and beam foundation can’t crack like concrete foundations do, they can develop a lot of other problems, which is why property owners often call us for pier and beam foundation service. The number of piers your house needs, as well as the condition of the wooden members under your home, can greatly affect costs. Pier and beam homes rest on piers and have wooden girder beams (heavy wooden beams) that sit on top of the piers. These girder beams support wooden joists, which are small versions of girder beams, but run the opposite direction under the house. If the joists or girder beams have rotted out, they will need to be replaced and that will increase the pier and beam foundation repair costs can vary by quite a great deal. And if new piers need to be installed, the price will vary depending upon the number of piers that need to be installed in order to make the house level. The cost to fix these homes in the Plano, Dallas and Fort Worth areas is impossible to provide without first inspecting the foundation. Because foundation problems multiply as time goes by, it’s best to call a foundation repair contractor right away. This will allow you to minimize the cost of repairing your pier and beam foundation. In the event you detect foundation issues, schedule a free estimate online today.